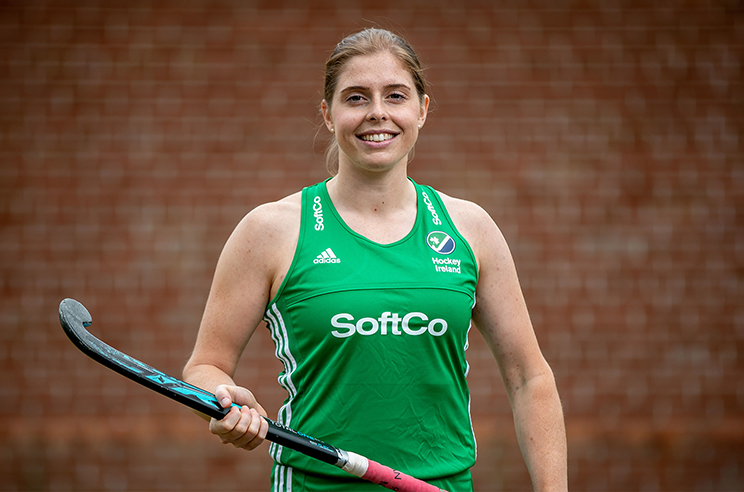 SoftCo is delighted to announce that Irish Women’s Hockey Captain, Katie Mullan, has joined the company’s brand ambassador team. Katie’s presence adds to an already star-studded group, which also includes rugby legend Ronan O’Gara, golfers Chesson Hadley, Troy Merritt and Gavin Moynihan and National Hunt jockey, Bryan Cooper. SoftCo are also the main sponsors of the Ireland Women’s Hockey team. Katie made her senior Ireland debut against Wales in 2012 and has represented Ireland in various tournaments, including the 2017 Women’s FIH Hockey World League and 2017 Women’s Four Nations Cup. However, her career highlight came when she captained the team that defied the odds to make it all the way to the final of the 2018 Women’s Hockey World Cup. Katie is also studying for a Master’s degree in Biomedical Engineering. Her strong leadership and team building skills, evident throughout her successful hockey career, will be of great benefit to her role of brand ambassador, in supporting the growth of SoftCo and working closely with worthy charitable causes as part of the SoftCo Foundation.